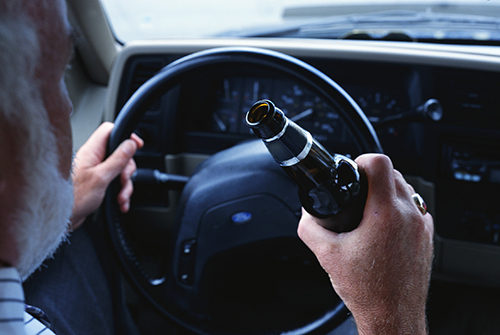 How Much Will a DWI Lawyer Cost in New York City? | Raw Law | Law Offices of Adam M. Thompson, P.C. Charges against you. The first consideration when determining the cost to defend a DWI is what your charges actually are. Driving while intoxicated can be charged in a variety of ways, depending on both the facts of the instant case and your criminal history, or lack thereof. Absent aggravating circumstances, a first-time DWI will be charged as a misdemeanor. As a general rule, a felony case requires more work than a misdemeanor case because more is at stake and the facts are more egregious. Your criminal history. If you are currently on probation for another offense or you are facing mandatory jail time because of your criminal history your attorney may need to fight even harder to prevent a conviction or to obtain an agreeable plea agreement. Facts of the instant case. Although the State of New York takes all DWI cases seriously, some receive more attention than others. If you were involved in an accident, a high speed chance, or had minors in the vehicle for example. These cases usually require more work as well. Plea agreement vs. trial. Your attorney will proceed as if you are planning to take your case to trial unless you indicate otherwise. If you decide early on to accept a plea agreement your legal fees may be less as your attorney will not need to put as much work into the case. No two DWI cases are exactly the same. If you are concerned about the costs involved in hiring an attorney to represent you in your New York City DWI case you should take the time to discuss your specific case with an attorney and find out what your case will cost. If you have been charged with driving while intoxicated in New York City contact the Law Offices of Adam Thompson today by calling 855-497-2326 to schedule your appointment.